Bangalore-based CREO, the maker of HDMI media streaming device Teewe, has secured angel funding from Snapdeal’s chief product officer Anand Chandrasekaran. Chandrasekaran’s investment is part of the recently concluded $3 million (Rs 20.4 crore) funding round that was led by Sequoia Capital India, Beenext Ventures and India Quotient, sources said. A CREO spokesperson is expected to provide a formal confirmation on the funding shortly. 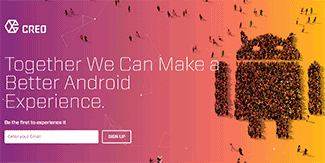 CREO is expected to use the proceeds from the recent concluded fundraising round to develop a proprietary Android-based operating system and launch a flagship smartphone. CREO, run by Mango Man Consumer Electronics Pvt Ltd, was founded by Sai Srinivas and Shubham Malhotra in November 2013. The company’s HDMI device Teewe is seen as the Indian counterpart to Google’s Chromecast. Teewe allows users to stream video content from a smartphone and watch it on their smart television. To use the device, users have to download the app on their smart TVs. Teewe is priced at Rs 2,000 while Chromecast retails at Rs 3,000. Prior to starting CREO, Srinivas headed the products division at Bharti SoftBank, while Malhotra was a product manager in the same department. Sai Srinivas is an alumnus of IIT Kanpur while Malhotra graduated from BITS, Pilani. In March 2015, Teewe secured $1.7 million (Rs 11 crore) from Sequoia Capital and India Quotient. Active angel investor Chandrasekaran, who joined Snapdeal in June 2015 from Bharti Airtel, has been an active angel investor. The CREO funding would be Chandrasekeran’s 13th personal investment, sources in the know said. Chandrasekaran, who was senior director with Yahoo in California before joining Bharti Airtel, last put money in Delhi-based Advergame Technologies Pvt Ltd, which operates mobile-based gaming network app Gamezop. He also has positions in food-tech startup InnerChef, audio accessories company Audeze, healthcare products delivery startup Pluss, freight platform FreightTiger, online rental marketplace RentOnGo, HD-live streaming platform Instalively and mobile bill splitter Splitkart.